Here is some additional information about Wi-Fi. Open the Wireless Network Connection. From the system tray (located next to the clock) click the Wireless Network Connection icon. 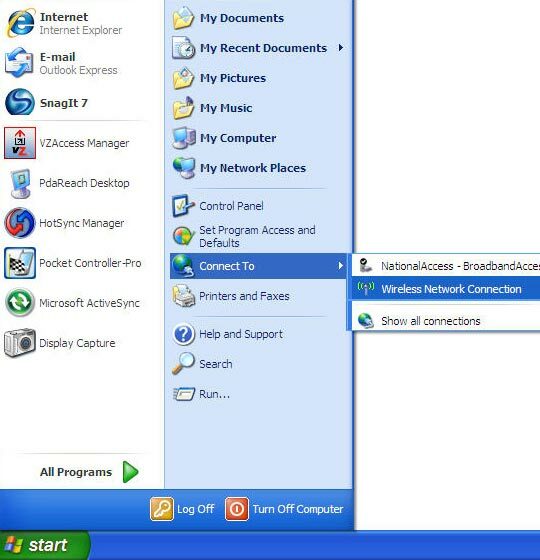 Alternative navigation: from the Windows desktop click Start > (Settings) > Connect to (Network Connections) > Wireless Network Connection. From Related Tasks (located in the left panel) click Change the order of preferred networks. 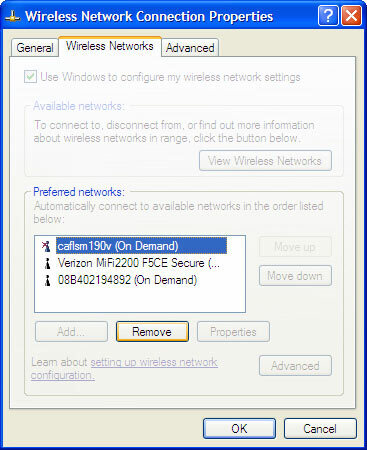 From the Wireless Networks tab, ensure the appropriate Preferred network is selected then click Remove. 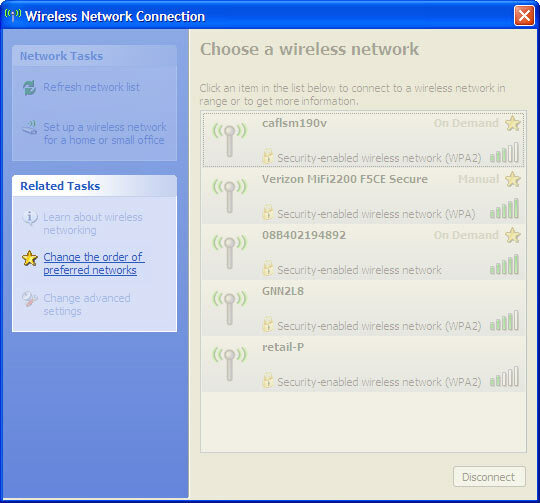 To recreate this connection, refer to Set Up Wi-Fi Connection - Windows XP for additional assistance.